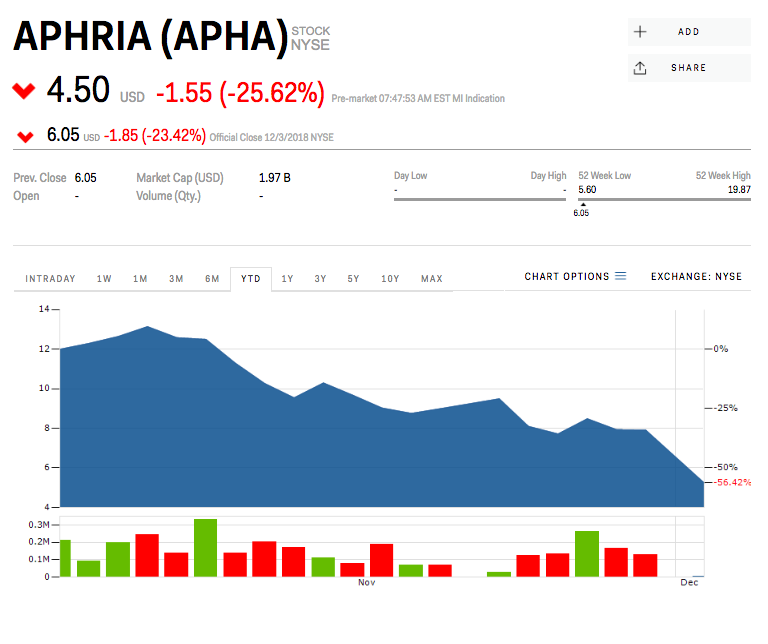 Aphria tumbled for a second day Tuesday after a short seller alleged Monday that the company’s Latin American acquisition is „largely worthless“ and benefitted insiders. The marijuana producer Aphria fell more than 25% early Tuesday— to a low of $4.50 a share in pre-market trading — after a short seller on Monday alleged the company’s Latin American acquisition was „largely worthless“ and benefitted insiders. Aphria insiders used funds from dilutive share issuance to complete its overvalued LATAM acquisition and diverted millions of dollars „from shareholders into their own pockets,“ short seller Quintessential Capital Management’s Hindenburg Research said Monday in a report titled „Aphria: a shell game with a cannabis business on the side.“ Shares tanked as much as 30% following the report. Aphria responded Monday in a press release, calling the allegations „a malicious and self-serving attempt“ to manipulate Aphria’s stock price. Aphria, one of Canada’s largest marijuana producers, listed on the New York Stock Exchange in November, transferring from Canadian markets. Shares exploded by as much as 155% in August and September after as tobacco makers such as Imperial Brands and beverage companies such as Constellation Brands triggered a „green rush“ by entering the cannabis space.